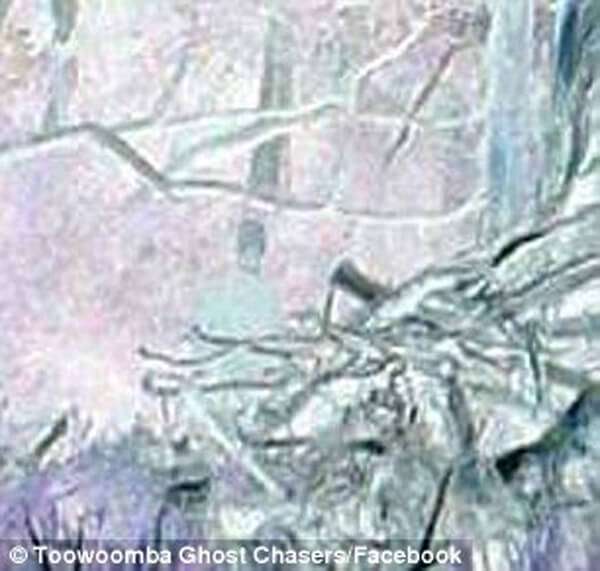 The picture was taken in a national park near Goomburra, Toowoomba. 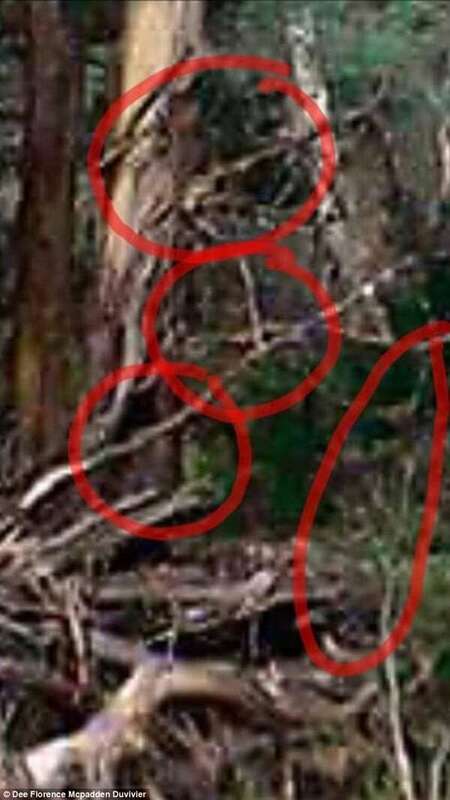 The hiker who took the photo said he felt like he was being watched. He noticed the shadowy figure as he was reviewing shots taken that day. 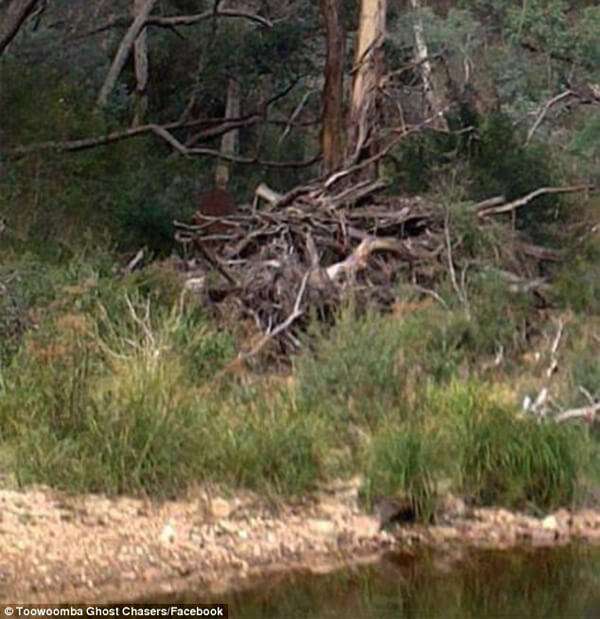 A man hiking near a local suicide spot in rural Queensland has snapped a picture of a shadowy figure that some claim is a ghost. 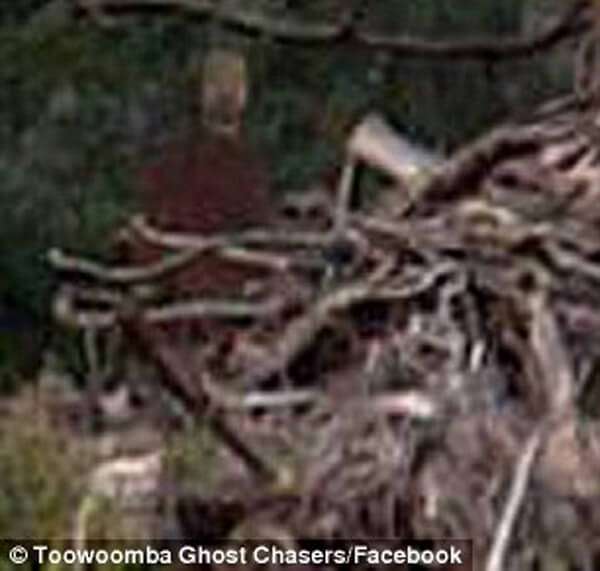 The image, posted to Toowoomba Ghost Chasers’ Facebook page, appears to show a bald man, with a short beard, wearing a red jumper standing among a stack of fallen branches. 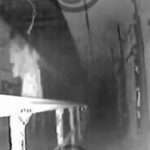 The group claim that a member, who goes by Brokc David, was hiking in a national park near Goomburra, Toowoomba, in rural Queensland, when he started to feel as if someone was watching him. 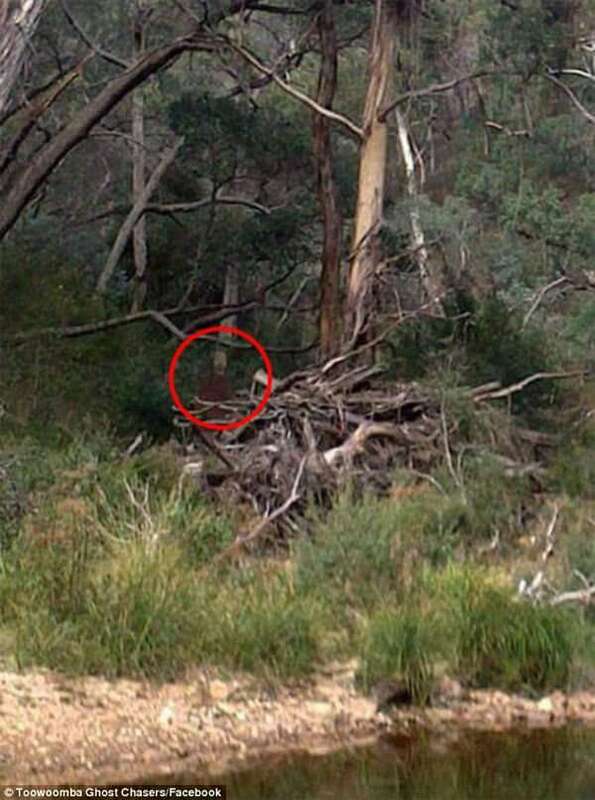 The ghost hunting group said that while hikers frequent the area, it is rare to see someone dressed in red in the middle of remote bushland. 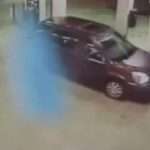 ‘He all of a sudden felt as though he was being watched and followed and he felt an awful feeling of dread wash over him.. Then when going back through his photos he finds this,’ the post read. The ghost hunting group said that while hikers frequent the area, it is rare to see someone dressed in red in the middle of remote bush land. 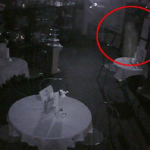 Mr David said he has been experiencing a ‘feeling of dread’ since he took the eerie photograph. ‘I’ll be walking down the street and all of a sudden feel like something is about to jump out at me from behind a tree,’ he wrote on Facebook. 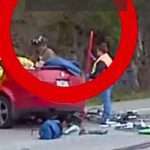 Several people have commented on the photo testifying to its authenticity. ‘Definitely a bearded man there in red!’ one woman said. 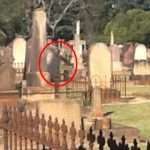 Others claim to see several other ‘spirits’ in the image, including that of two young children. 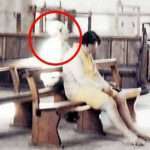 One man even claims he felt a sharp pain in the side of his head while viewing the supernatural image, which makes him believe the man may have been struck before he died. For those who can’t see the unearthly figures, one woman suggests quietly focusing. 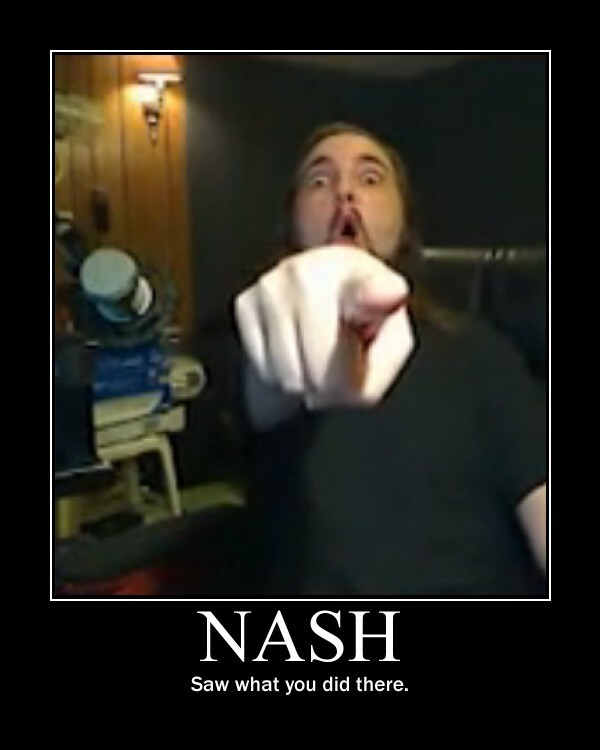 DON’T WATCH! 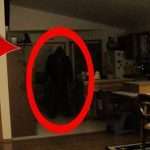 Evil ghost presence captured on video!